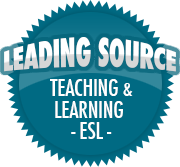 Thinking | So, You Think You Can Teach ESL? I had this on my computer and thought I’d share it here. I don’t remember where I found it, though. This table applies to all ages. As children grow and develop, the way they learn changes with them. They go from playing and exploring to active learning while they are in school, and also develop critical thinking skills. Teachers should make their classroom environments student-friendly with all kinds of hands-on resources, objects and other materials for students to reference. Students should learn to become more independent and take charge of their education as they enter high school (especially by their senior year). How can YOU create an effective learning environment in your classroom?